In my world, I often find that one idea or a spark of inspiration can often lead me down a path of exploration, more ideas and inspiration. This is what recently happened to me while grocery shopping- I couldn't resist buying a $2.00 bag of fresh cranberries. I decided right there in the produce aisle that they would make the perfect subject for some photos I was taking for handmade holiday cards. 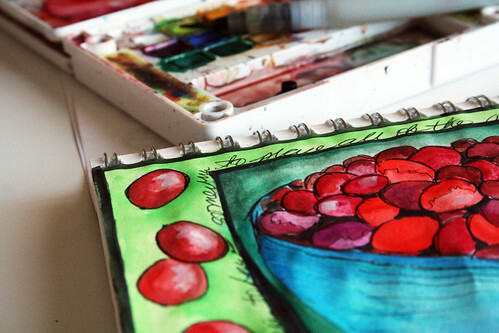 that I couldn't resist doing a little sketching and cranberry study in my sketchbook. 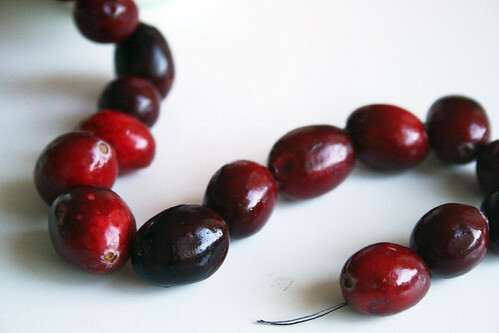 While sketching it struck me that I have never tried stringing cranberries into a garland and I wanted to give it a try! Since we have some holiday entertaining coming up, I thought the garland would be pretty to use in the tablescape. While stringing the garland I got curious about how a cranberry looks on the inside- believe it or not I am not too familiar with fresh cranberries. I cut one open and was excited to see that is was beautiful. Even prettier on the inside if I may say so! I immediately knew that it would make a PERFECT stamp. So I pulled out some acrylic paint and a brush and tried it out. Homemade wrapping paper anyone? 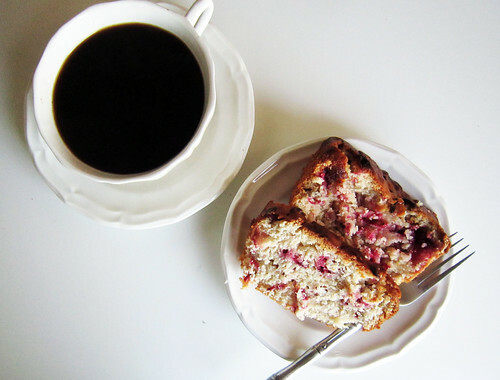 As I was getting ready to pack up the extra berries into the fridge and throw out the bag they came in, I noticed a recipe for cranberry nut bread on the back of the bag (Ocean Spray) and again I just couldn't resist making it! 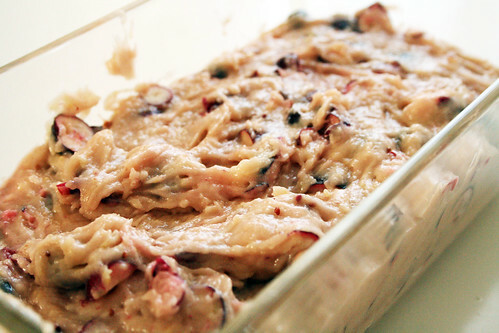 Spread batter into a well greased loaf pan or even fill muffin tins. And there you have it- me and my crazy brain! 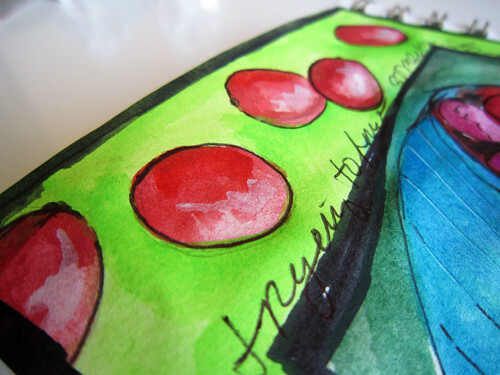 A trip to the grocery store and a $2.00 bag of cranberries to spark all kinds of creative ideas! Awesome! Beautiful photos and yummy baking! WOW! Love the way your mind works!! 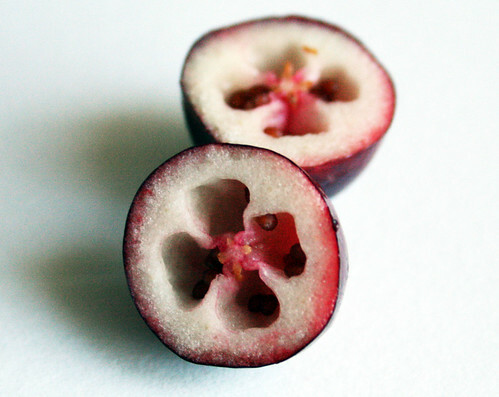 I've never cut open a cranberry--they are beautiful inside as well as out!! Very inspiring post, and Photo's! This is some juicy, yummy goodness! I love it!!! Everything looks scrumptious!! Love the stamp idea....so pretty!! 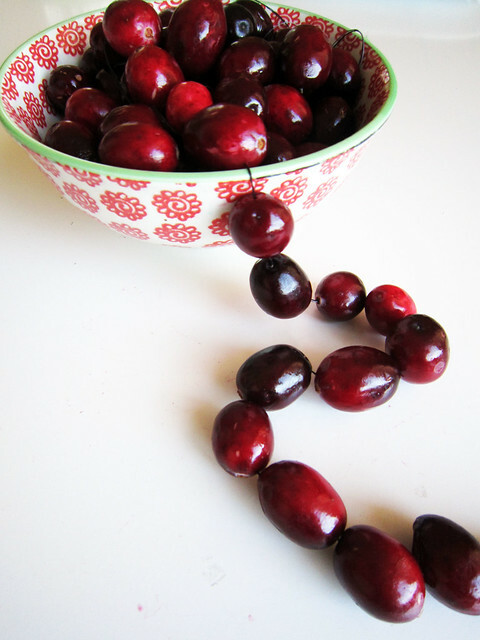 I love your cranberry journey! Isn't it amazing how artists can take a cheap trip through discovery like you did with the cranberries! What fun! Fortunately there is someone as crazy as me. I love your cranberrieadventure. Now you make me curious too - can I make an ecocolour-contactprint with it..
the stamp with cranberry!! beautifull idea!! 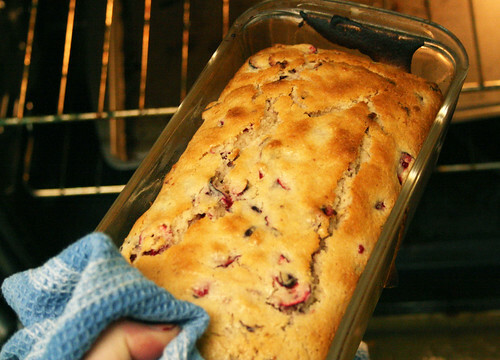 That Cranberry nut bread looks so yummy! Beautiful photos by the way! DELIGHTFUL AND YUMMY! you are so wonderfully full of ideas!! and i thank you for sharing!!! Great progression of ideas. Great to see how one thing led to another. I spent many years of my childhood growing up in a house that sits on the edge of a cranberry bog on Cape Cod. 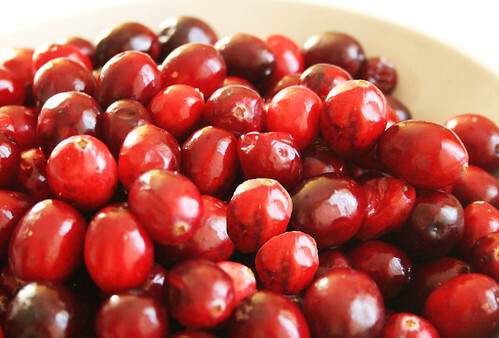 I ahve made everyhting immaginable from cranberries- edible that is. I love stringing them and as the garland dries out the whole nature of the garland changes in really cool textural ways. 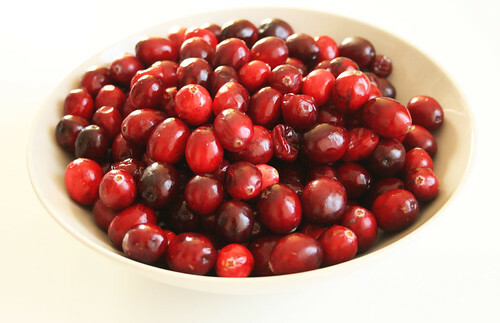 The color of freshly made cranberry sause is simply lucious and the taste divine!! 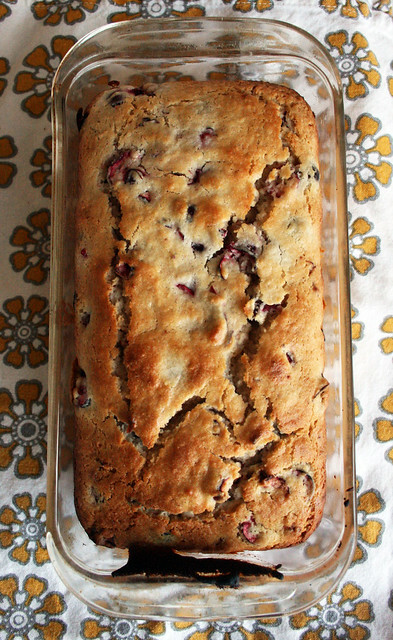 If you ever want a faulous recipe for cranberry pumpkin bread just holler!!! Love the stamping that you didand I am sure that your holiday cards will be wonderful!! HO HO HO!!!! Very cool! I didn't know they were so pretty on the inside like that and the stamp is super creative. Nature is the best creative impetus. Ok, now I want to go buy some to play with too! What a beautiful post - the painting in your sketchbook, the photos of rich red cranberries, the recipe, the lovely garland, all so inspiring! I'm sold! Love it - and love cranberries! Great ideas! 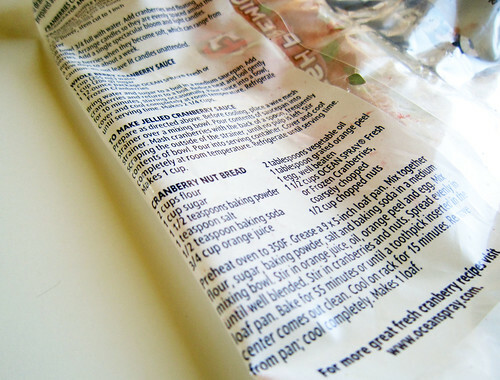 Will have to try - the recipe and the stamping! 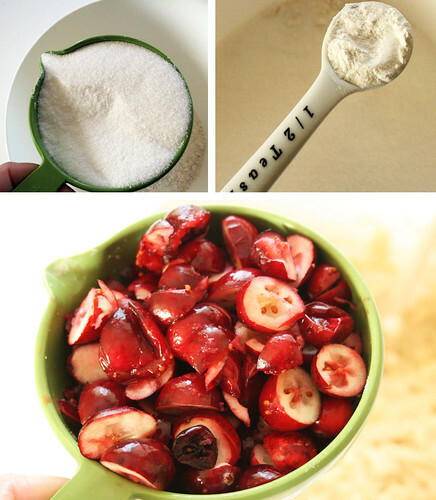 Throw a bag of cranberries in a pan. Add half a cup or less of sugar. Add a big scoop of horseradish. Cook for about ten or fifteen minutes, mash a bit. Cool and serve with creme cheese on some great wheat crackers. My family complains that it stinks while I'm cooking it. You can barely taste the horseradish when it's done - just a bit of an afterkick. Yum. that was an AWESOME post!!! love the creativity and curiosity in it all...amazing! Great painting by the way!!! 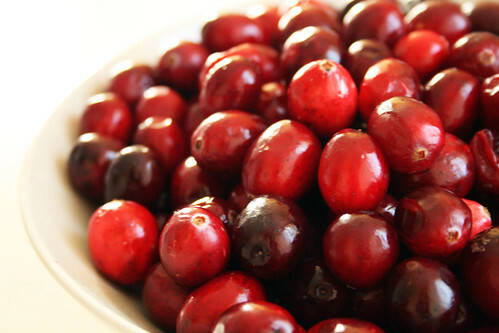 Cranberries! 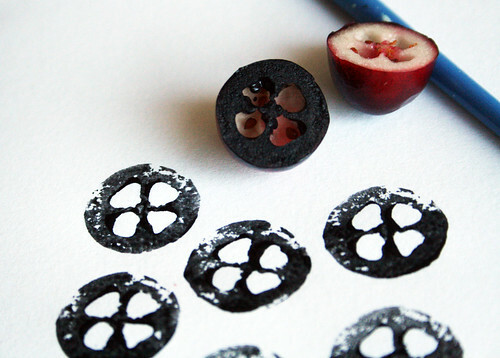 I love the cut-cranberry stamping and your idea to decorate some homemade wrapping paper with them... Thanks for sharing! I love your artwork and posts--so refreshing! Cranberry stamp--fantastic. When I was making our Thanksgiving dressing, I noticed that if you lop off the whole bottom of celery, it looks like a flower. I thought my girls would love to stamp with it--maybe red ink on some newspaper to make wrapping paper. By viewing your posts and watching how you work, you've helped make my mind work more creatively. Thank you! Hi, I found your blog by chance, I write from Madrid, the capital of Spain (Europe) your blog is wonderful and this article seems fantastic and great fun. Come back to visit often. I invite you to visit my blog and write me a comment: http://elrincondebohemia.blogspot.com/ Many thanks for your visit. the cranberry stamps are just beautiful. amazing! you rock. I want to see a million more. You are an inspiration! I love the cranberry stamp.